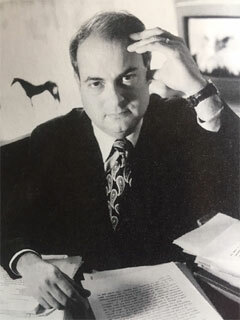 The disappearance of fabulously rich Chicago candy heiress Helen Brach and the suspicious deaths of a string of champion racehorses are linked in a celebrated scandal that has reverberated through every level of the glamorous enclaves of thoroughbred horse breeding. Hot Blood is a story about greed and horse killings while trying to frame gigolo Richard Bailey for conning and romancing wealthy women out of huge sums of money, and strategically pinning him with the unsolved disappearance of Brach, in order to put him behind bars. Englade takes us step by step through the legal system and years of investigation with Assistant US Attorney Steve Miller and his three-man crew of investigators, trying to put the pieces together to stop the corruption and help solve the Brach case. They can not solve this mysterious crime, but they help to bring other events into focus that can make your skin crawl! Hot Blood relates to two stories. One examines the unscrupulous practices of dishonest horsemen in Chicago; the other scrutinizes the widespread and highly illegal agenda followed by prominent horse owners and trainers far from the Windy City, specifically from New England to Florida and back. The Jayne Gang concept is in development and Who Killed the Candy Lady, Hot Blood, Shattered Sense of Innocence, and Murder Gone Cold books are available. In 1956, three days after Christmas, two Chicago girls, Barbara Grimes, fifteen, and her thirteen-year-old sister Patricia, left home to see Love Me Tender, the first movie starring the heartthrob of the day, Elvis Presley. They never made it home, intercepted somewhere between the Brighton Theater and their house on South Damen Avenue. Twenty-six days later, following a series of bizarre reports of sightings far and wide, they were found dead on a road southwest of the city, their bodies frozen and marked by rodents. While Chicago residents reeled with shock and parents tightened reins on their children, a full-scale investigation ensued, but a fresh snowfall at the death site and disputes over jurisdictional authority marred its progress from the start. In the end, no one was ever brought to trial. Over the years, this case has been the subject of heated debate and speculation and even of psychic visitings. After nearly sixty years, no one really knows what happened to the Grimes sisters—where, why, or even how they died—but now there are those from the neighborhood who have their strong theories, they are ready to talk , and they want to see this open case closed. 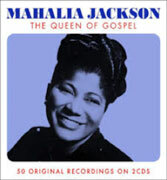 Mahalia: The life story of the late Mahalia Jackson. Mahalia broke through the racial boundaries of the 50s and 60s and forged a mainstream following that opened doors for gifted women of color in generations to follow. From scrubbing floors to becoming The Queen of Gospel, she was a legendary singer-celebrity and political advocate. Mahalia was the Oprah of her Day, described by Harry Belafonte as “the most powerful black woman in the United States.” She recorded thirty albums during her career, including dozens of gold records, selling millions. * Synopsis and screenplay available.